Updated for February 2017 (Originally posted July 2014): There’s nothing quite like the sinking feeling of your smartphone acting weird. Is it temporary? Is it broken? Is it hacked? Since smartphones can be hacked just like computers, weird changes in phone behavior or your account can mean more than a simple tech glitch. Malware designed to extract data or use your phone as a spam-sending tool is super-profitable for hackers. So it’s super-common, too. 1. Too much data usage. If you’re using up data faster than usual, malware could be using your phone to send spam. iPhone users should first check to see that apps are not running in the background if they don’t need to be. As useful as they are, apps like Waze can use a lot of data as they run in the background. They eat up battery power, too. 2. Charges for texts you didn’t send. Hackers who send text spam don’t want to pay for it. They’d rather use your phone and have you pay. If you have an unlimited plan, your phone could be sending tons of texts without your knowing it — check your bill anyway to look for texts you didn’t send. 3. Weird charges on your credit card. Do you see a charge for something you never ordered? Or do you have credit with Google Play and you notice it’s gone down for no reason? You could have malware from a fake store set up specifically for smartphone hacking. 4. Comes alive in the middle of the night. Does your phone suddenly wake up without your touching it? Zombie phone activity is not good. 5. Apps that are using way more MB than seems logical. Check your settings and look at how much MB each app is using. Is a simple calculator app gobbling up a ton of space? Could be malware. 6. Acts sluggish overall. If your phone is slower than it used to be and doesn’t respond to commands as quickly, malware could be running in the background. On the other hand, your phone could also be acting weird because of a hardware problem — the power button or charging port can fail, for example, or items could be going straight to voicemail. Pixel and battery-draining issues tend to be hardware problems, so call tech support about issues like these. Hopefully, your phone is still under warranty. If you have an Apple iOS device, the chances that your phone has been hacked are lower. There’s much more malware for Android devices because it’s open-source and you can get apps from places that aren’t Google Play. Reset your phone if you’re having problems. 99% of the time, reloading the software will get rid of malicious code. Get a protection app that keeps malware off in the first place. There are plenty to choose from for Android devices, including 360 Security (free) and Kaspersky Internet Security for Android (free trial, then $9.99 – $14.95). For Apple iOS devices, check out Lookout (free and premium versions). These apps scan your phone to get rid of anything bad and protect it from now on. Back up often, whether you have an anti-malware app on your phone or not. So if your phone ever starts acting weird, you can revert to your last pre-infected backup. Only get apps from official app stores. Hackers are really good at hiding malware in benign-sounding apps and apps that look like apps you trust. Although Google Play still isn’t a sure bet for app shopping. Remove any apps you’re not actively using. Every app is a potential problem so don’t have a gazillion of them. Don’t jailbreak your phone. Hackers love jailbroken phones. Keep your operating system (OS) up to date. You don’t be the first person to update (in case there are bugs to be worked out) but make sure to update within a week or two of a new OS release. If you use your smartphone for work, you need to tell your company if you think your phone might have been hacked. It’s the right thing to do — you don’t want to spread an infection to your work network or put your company’s data at risk. Plus, you could be protecting yourself because any bad actions taken against your company through your phone could look like they came from you! Don’t worry that they might take your phone away if it has malware. They might just shut off work email temporarily and might even help you fix it. 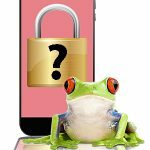 A lot of companies with BYOD (Bring Your Own Device) policies are using mobile security instead of managing individual phones. So they might just need to delete and reinstall the mobile security app once your phone is malware-free. 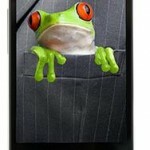 Any weird stuff going on with your phone deserves your attention — trust us frogs on this. Weird stuff means there’s a problem and it’s better to stop a problem before it gets worse. 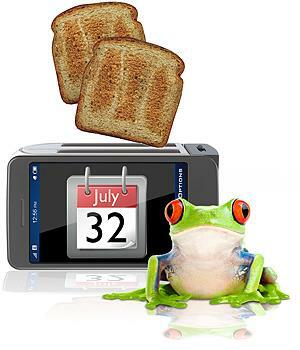 If you’re a Leapfrog Help Desk client, call us anytime at 404-870-2124 or 866-870-2124 so we can troubleshoot for you.